Postgraduate training is an integral part of our mission, and we aim to provide our students with transferable skills usable in a wide variety of career paths. We offer 3 and 4 year PhD studentships, many of which include opportunities to work with industrial partners, clinicians as well as the other world-leading institutes on the Norwich Research Park. Close links with the University of East Anglia ensure high standards of supervisory practice and mentoring for graduate students, access to training and development courses, and the student experience at this top-rated university. Our student supervisors are world leaders in their research areas, but also receive full supervisory training and support. Career destinations of alumni include academic organisations worldwide for postdoctoral research, UK and international industry, government, teaching, and careers related to science. The Quadram Institute is part of the Norwich Research Park’s Doctoral Training Partnership offering talented biosciences graduates an opportunity to work in a multidisciplinary research environment and join a vibrant student community. The Doctoral Training Partnership involves ourselves and four other world-class research institutions based on the Norwich Research Park and is supported by the Biotechnology and Biological Sciences Research Council (BBSRC). There are a variety of other funded PhD studentships advertised over the academic year. These include awards made for the BBSRC Industrial CASE Studentship Programme where candidates get the opportunity to benefit from strong industrial collaborations as part of their PhD. Why choose the Quadram Institute? 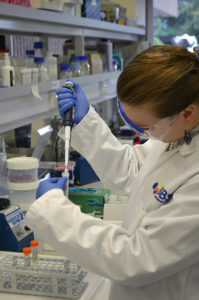 Postgraduate students are supervised as members of small interactive research teams by scientists with international reputations in their fields. 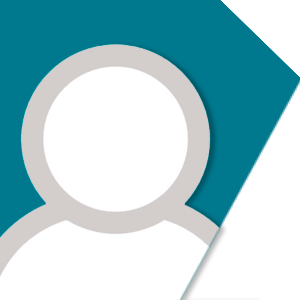 Each PhD student has a Personal Development Plan to help further develop their career. Our PhD students also have full access to courses and support from the neighbouring University of East Anglia. 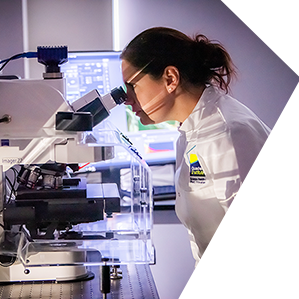 As well as studying in the UK’s only publicly funded institute dedicated to the science of food and health, studentships at Quadram Institute offer placements with industry or opportunities to work with clinicians. We also benefit from close ties to the other world-leading institutes on the Norwich Research Park, as well as being based in the historic yet vibrant city of Norwich. Studying and working on the Norwich Research Park provides a wealth of benefits, not only for your future career but also for your lifestyle and wellbeing. 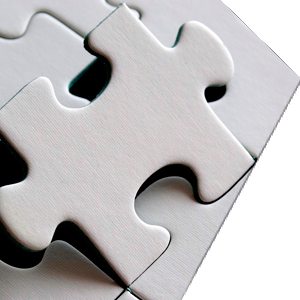 We welcome members of our team from across the world and from a diverse range of backgrounds. We believe that delivering to our mission is best achieved through a positive, welcoming, inclusive environment where equal opportunities exist for all to achieve their full potential, and support a number of initiatives that actively promote equality and diversity and a mutual respect for one another. Quadram welcomes students from across the world, who form an active student community, holding regular events and functions, with a student-led forum that promotes and improves the student experience. In addition to academic study, we support students wanting to develop skills in other areas, such as entrepreneurship or science communication. The Quadram Student Forum also provides support, mentoring, and a full range of student-led activities and events. Working at the Quadram Institute, Norwich has taught me numerous theoretical concepts on how to conduct a research project in the field of nutrition. Working alongside world-renowned experts such as Professor Michael Müller has greatly helped me refine and develop my research ideas. My project focuses on the impact of calorie restriction on the ageing gut-liver axis. This involves working with cutting edge molecular biology techniques and a variety of computational skills. The stimulating environment at the Quadram Institute ensures that I keep motivated as well as supported throughout my project. My favourite part at the institute is regular lectures from international speaker on various nutritional and metabolic related topics. The very active Quadram Student Forum at the Institute also arranges for students to have lunch with these speakers, which I feel is a great opportunity to learn about different research concepts in an informal environment. Lastly, Norwich is a great place to be a student. With its beautiful cathedrals and wide green parks, it offers both the busy city life as well as relaxed countryside. Sportspark, which is based at the UEA, is the most successful community sport facilities in the UK and offers all sorts of sporting and leisure activity. Norwich is a wonderful place to live and study, with the city being a perfect size to provide everything you need while still retaining a friendly and safe feel. The Quadram Institute is part of the Norwich Research Park, which provides a unique mix of education, research and clinical facilities. This has been invaluable as my project has involved working with clinical tissue samples, while the proximity to the University of East Anglia has allowed me to explore interests in teaching and scientific outreach. 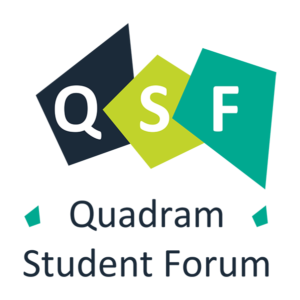 Outside of the lab, I surprised myself by becoming an enthusiastic member of the Quadram Student Forum, a committee which represents the interests of students at the institute as well organising regular social and training events. After an undergraduate degree in Biochemistry, Tharsini Sivapalan undertook a research masters in clinical and human nutrition, and work experience involving studies with human volunteers. It was this that, after some initial trepidation, convinced Tharsini that she wanted to continue her career in research. However, finding PhD opportunities that matched her interests, which combined the practical human studies with fundamental science of biochemistry, proved a challenge, and led Tharsini to visit the institute. Tharsini completed her PhD in 2017, which saw her manage her own human dietary intervention study investigating the bioavailability of phytochemicals from broccoli soups. Although trusted with managing the human study, Tharsini credits its success to the supportive environment, not just from her PhD supervisors but from the wider community. Many of our research groups welcome undergraduates to work on research projects during the summer vacation. Students typically work in a laboratory for around eight weeks during the summer vacation. This provides an excellent opportunity to gain first hand research experience in an internationally respected laboratory and is particularly useful for undergraduates who may be considering taking up a PhD studentship after they graduate. The ideal time for this experience is during the summer vacation following the second year of an undergraduate course.